Update ( Aug. 4, 2011 ): this article refers to an older version of DanielMenjivar.com from 2010. A new version went live on July 15, 2011 so some of the code samples below aren’t in use on the new site anymore – you can still learn a lot from these examples though – it’s just not exactly the same as what’s currently on the site. All the code examples below use jQuery, which makes life much easier. Pretty straight forward. All external links have rel="external" and this forces them to open in a new window/tab. I’m using the .live(); method to make sure that this also applies to any links loaded later on through AJAX. So, all <article>s (except single events and <article>s loaded by a #hash in the URL) get closed/collapsed upon page load. I wanted to have a way to link to individual audio/video tracks and have the user not only taken to the requested content when the page loads, but also to start playback right away and expand/open the track details automatically. This is actually very simple to do – you just have to trigger the click function. As you can see from the code above, it only works if there is a "twitter" tab on the sub-navigation (which exists on the home page and the contact page). Also, the example above doesn’t trigger the click function, (but it could have). I’m also using a custom load_content(); function which takes care of the AJAX request and changing the page title – this way I can reuse the load_content(); function to load other content as well. And again I’m using the .live(); method to make sure that even the AJAX loaded table is sortable again. Now, finally, we get to the HTML5 Audio Part! If the audio element already exists, and is set to the song that was clicked, then toggle play/pause. Keep in mind that the way to do this differs if it’s an <audio> element or a QuickTime <object>. If the song that was clicked is not the same as the track that’s currently playing, I destroy/remove the old element and create a new one. Toggle the "pause" CSS class (which replaces the play icon with a pause icon) and make sure that only one song/track has a pause icon. It looks more complex than it is, doesn’t it? Yup, that’s all there is to it! OK, that’s it for now! I hope you’ve found something useful on here. Love it? Hate it? Have a better way? Let me know! 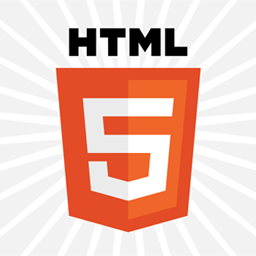 HTML5 Audio with jQuery was published on Wednesday, July 28, 2010 at 2:41pm EDT by Daniel Menjívar and last updated on April 11, 2018 at 9:30pm UTC .